"I won Christmas!" I remember my son Michael shouting this out one Christmas morn many years ago after all the presents had been opened. The delight of his expression has become a family tradition that has taken a life of its own. The hope is to win Christmas. Christmas isn't about winning; I think we all know that. However, last week I read an article about winning and it brought a sense of hope back into my life and hope is an essential experience in the season of Advent. Perhaps the hope of winning does have a place in the season of Advent. If you follow the lottery you know that there was a big winner for the one billion dollar Mega Million jackpot a few weeks back. What I didn't know is that there were five $10,000 winners as well. One of the winning tickets was purchased by group of NICU nurses from Mercy Hospital in Missouri. 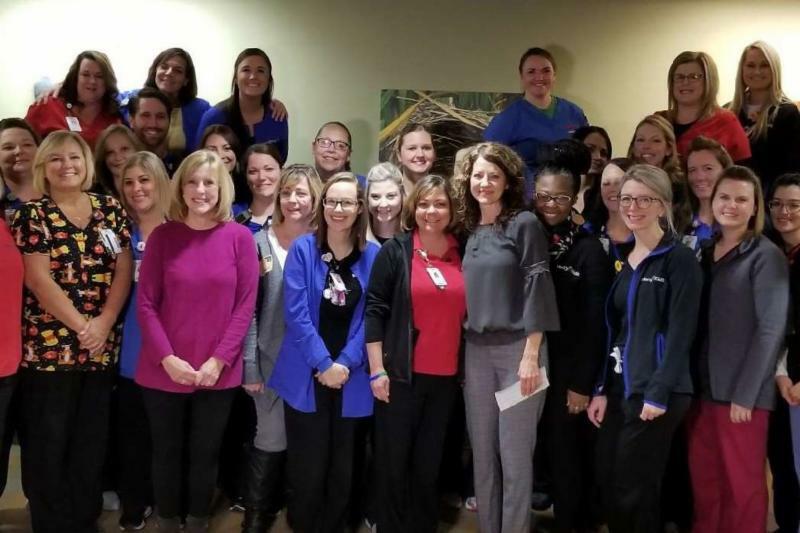 Instead of splitting the proceeds among themselves, this compassionate group of nurses decided to share the winning with two of their colleagues who were in need. One needed money to bury her 17 year old son who tragically committed suicide. The others recipient's husband had been diagnosed with sarcoma cancer and she had to cut back on her hours in order to care for him and their two sons. Here is a picture of these inspiring nurses. Thanks to these merciful angels I can see that the hope of winning has a way of transforming lives and therefore has a place in our Advent season. The gift of Advent is that God shared his only Son with us as the hope for the world. The gospel of Luke says this; "An angel of the Lord appeared to them, and the glory of the Lord shone around them, and they were terrified. But the angel said to them, 'Do not be afraid. I bring you good news of great joy that will be for all the people." I choose to believe that the action of the Mercy nurses is what "winning Christmas" is all about. How will you share the good news this Advent season and win Christmas? Gracious God, help us to see all the merciful acts of kindness that you inspire in our world, so that the fear and trembling that has permeated our lives will be replaced with the joy of giving. Amen.